South African producers are ramping up their marketing efforts in Hong Kong and China in an effort to corner a bigger market share, which currently represents less than 2%. Last week, Hong Kong witnessed the biggest South African wine tasting yet with 200 wines on display at Renaissance Harbour View Hotel including top quality wines from PIWOSA (Premium Independent Wines of South Africa), an association formed by 10 of South Africa’s boutique producers including Journey’s End, Paul Cluver, Ken Forrester, The Drift, De Grendel Wines, Glenelly Estate, Jordan Wine, Klein Constantia, Radford Dale and Raats (not present at the tasting). Presenting a range of varied wines from lesser known varieties including Barbera and Gewutzraminer to the more familiar Pinot Noir, Chenin Blanc ,Chardonnay, Shiraz and Pinotage, the producers are challenging Chinese consumers’ perception of South Africa as only capable of producing “cheap and cheerful” wines. “What we tried to do as premium producers is to showcase wines that are equivalent to some of the best wines from Bordeaux and Burgundy yet with better price points,” Gary Jordan, owner of Stellenbosch-based Jordan Wine, told dbHK at the South African wine tasting. His whites sell from US$14 to US$17 a bottle and reserves sell between US$38 and US$40. In both the Hong Kong and Chinese markets, South African wines only make up a meagre part of the market share and have seen drops in exports in both markets last year. 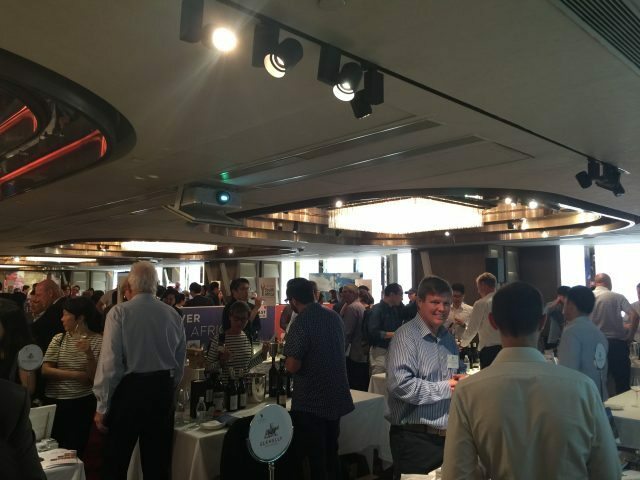 In 2016, South African wine exports to Hong Kong totalled 0.92 million litres, a year-on-year drop of 1.1%, representing only a 1.5% market share in Hong Kong, according to figures from Hong Kong’s Commerce and Economic Development Bureau. In mainland China, meanwhile, South African bottled wine exports dropped 10% year-on-year in value to US$34.78 million, representing only 1.6% of the market, based on data released from China Association for Imports & Exports from Wine and Spirits. The average bottled wine price saw a further slide of 13.51% to US$3.62. Having seen the growing success of South African wines in Europe, especially in the UK, the vintner argued that there must be a market for premium South African wines in Hong Kong and China given what they believe are stylistic similarities to French wines. 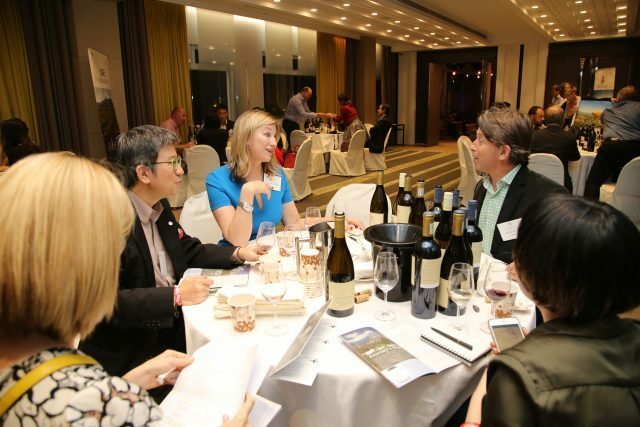 “Style wise, we feel that our wines are a bit closer to France as we’ve seen the success of French wines in Hong Kong and China, so stylistically, we feel like our wines will fit the Asian palate,” Gabb explained. “For New World producers, South African wines are more similar to French wines in flavour components and that is purely climatical. We are not trying to copy France. All our wines are site specific, true to their terroir. But what we are finding is that flavour components are quite broadly in tune with French wines,” he continued. In addition to hosting the walk-around tasting, Wines of South Africa also rolled out a city wide South African wine promotions at supermarkets, retail shops and restaurants for the whole month of April. A blind tasting of South African wines against premium French wines and a PIWOSA wine dinner were also held last week by Debra Meiburg MW of Meiburg Wine Media. The PIWOSA’s Asia tour will continue in Shanghai (27-28 April) and Tokyo (24-25 April), following the launch in Singapore last week (17-18 April).